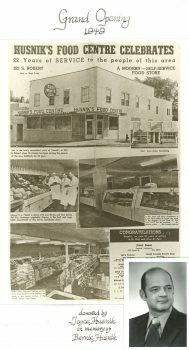 1940 Husnik Food Centre opened located at 922 South Robert Street, West St. Paul. Serving meats, dairy, fruits and vegetables. 1949 Grand Opening of remodeled building. Improved lighting, wider aisles and more attractive food displays. Bernard’s sons, Bernie and Donald returned for the service (WWII) and worked at the store. 1982 Husnik Food Centre had a fire and building was no longer inhabitable. 1984 Theodore Husnik and Micheal Husnik (sons of Donald Husnik) built the current Husnik Meat Company at 235 South Concord Exchange, South St. Paul. Company consisted of a retail store, home delivery service and wholesale distributing to local grocers and restaurants. 2011 Thedore Husnik retires from Husnik Meat Company and sells business to Joseph and Janelle (Husnik) Murphy. Joseph and Janelle both graduated from University of Wisconsin-Stout with Bachelor of Science degrees. 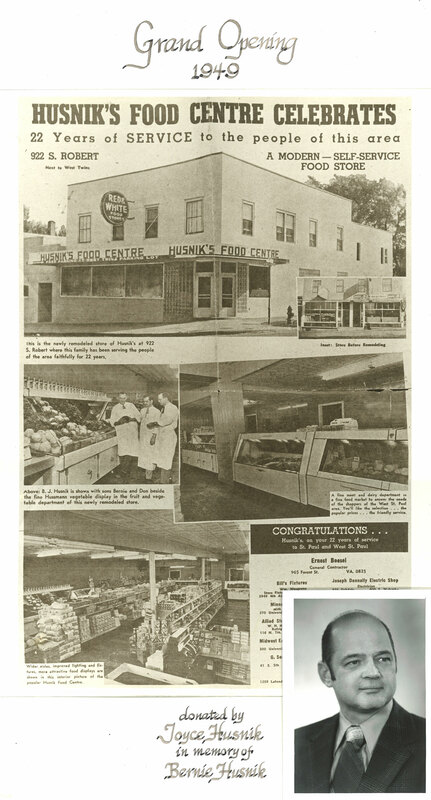 Joseph had worked at Husnik Meats during the summers while attending school and after graduation full time as salesman. Janelle has worked in the store and in packaging at various points starting at a young age.